I have been in such a high this past weekend. My first bazaar was a huge success! Yes, profit- and experience-wise. I can't believe that as early as 9 in the morning, I was counting money already. And come lunch time, I was at my busiest! My body was not complaining despite having no sleep. I'm not exaggerating but I just had a 15-minute snooze in the car on the way to the bazaar location. Eto yung time na I wished eh ma-traffic. Haha. But hindi, we set up my rustic, shabby chic table around 6am-ish, in between yawns and longingness for a bucket of coffee. Please excuse the constipated face. 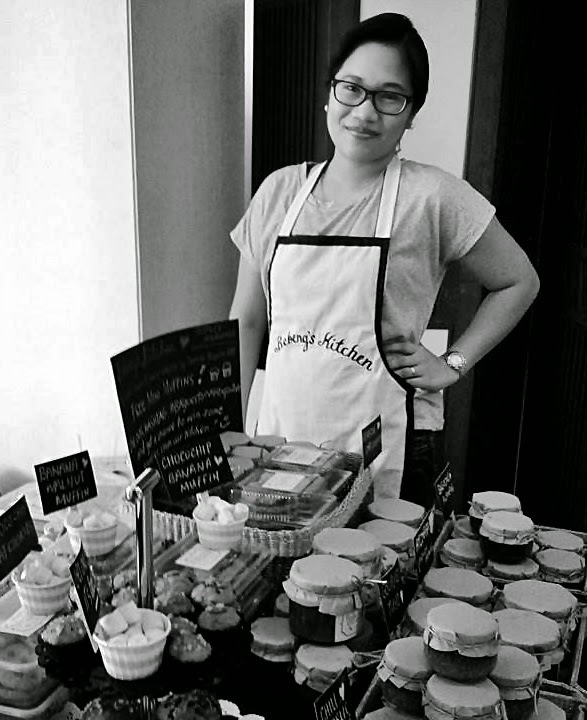 This newbie mompreneur is seriously, hungrily chasing her dreams. 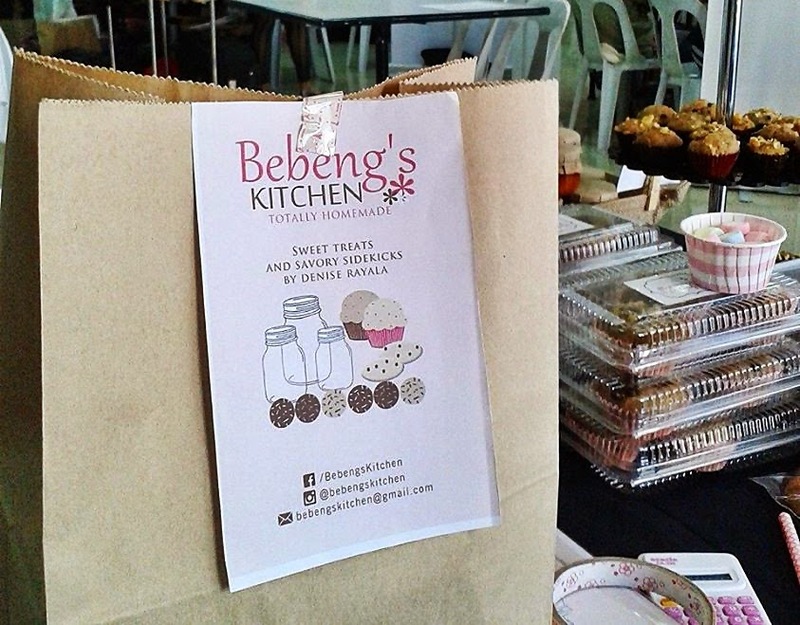 Like what I told my kitchen assistant, my cousin Mimi, I have big dreams for Bebeng's Kitchen. I can't tell you yet here but I'm sure that you'll be happy for me whatever it is (I assume that all my readers love me, you won't read me if you don't hihi)! Well, I like that I'm unleashing my go-getter self once again. Sadly, it kinda hid somewhere when I became a full-time SAHM. Now, I can't be easily stopped. Idea thieves, bogus helpful kuno, inggiteras, useless opinions and unlimited stress ~ I didn't let these defeat me. I stayed present, on my purpose, and faithful. Eyes on the prize forever. And it did me great. My first bazaar was full of happiness and was screaming with success. There were a lot of people messaging me for more blessings-related news. And orders, advanced orders for Christmas. Isn't that amazing? My God is so amazing. He loves me so much He gave me key people to be around me; keeping me grounded, helping me reach my dreams. Yes, I know; it's beautiful. 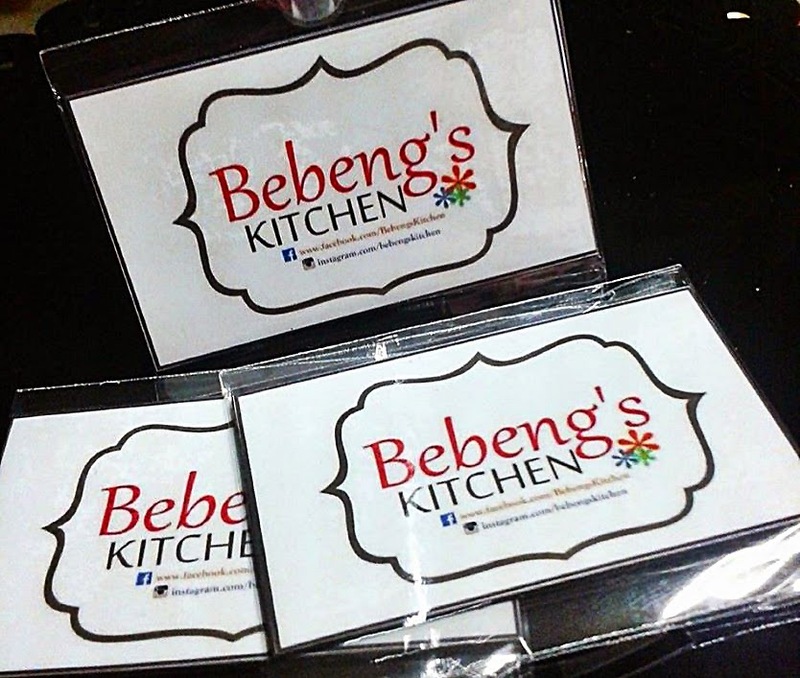 Rhiza Oyos of Chasing Dreams made Bebeng's Kitchen's new logo. No words. I am completely enthralled. I shall share with you the rest of the look, soon. Ging Santos of Crafted Love made my flyer layout for the Work-at-Home Weekend Expo in just a few hours. It looks so much fresher in person, just like the one who made it. Really. SJ Valdez of All Around Pinay Mama, who owns Faith Shoppe, made these ref magnets for me! I have like 3 on our refrigerator now. Hihi. I just love that the logo I made for BK, using Photoscape by the way (I know, so childish haha), is actually "ok" to look at as a ref magnet. Since I have a new logo, I'll get her service again to make me a new batch for giveaway. Creatif Studio has better photos. I'll post it here, soon. Dianne and Candice of the The Project C&D gave me kraft letters, kraft paper bags, Papemelroti notebook and cute doilies to inspire me in designing my booth. I wanted to use my HOMEMADE kraft letters but it didn't fit my table. Maybe next time. Or perhaps, will use it as props when I do my product shoot with Creatif. My assistant had an idea of using the doily under the muffin tower since the table cloth and tower are both black. It looked so chic! Obviously, the kitchen's whole look has changed. Gone are the pink, frou-frou days. I am now into clean, classic lines; but still with a little feminine touch. I have an apron made of katsa with black lining and embroidery, I use kraft papers and black board and chalk. 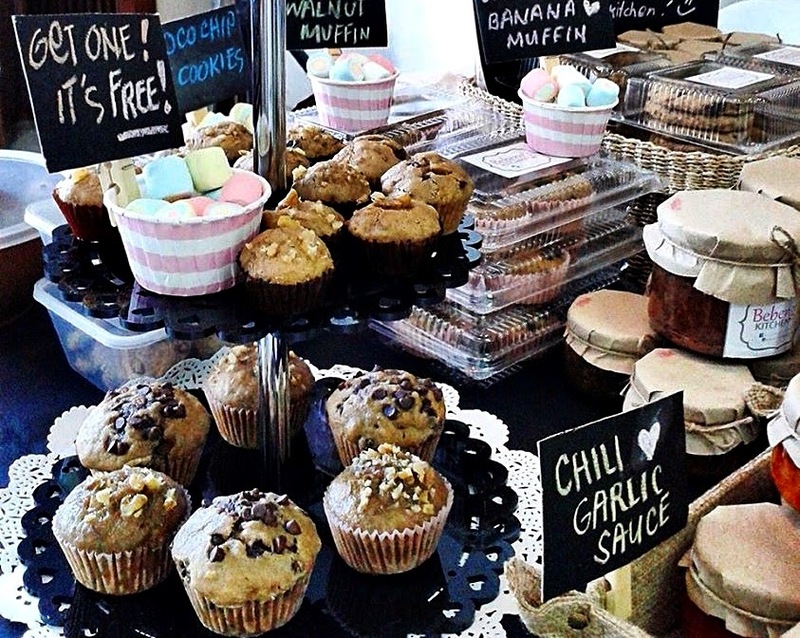 Everything is homemade, homebaked, and homecooked. Homey feel. So where's the little feminine touch? Me! My physical body down there says so. LOL. I'm so happy for you ate! :) I bet you did great and you definitely deserve all the blessings. Omg. I'm so thrilled seeing you chase your dreams and get more out of SAHMhood. Seeing you and Kim venture into business inspires me so much... More blessings to yerr! Hi five for Mommy Shorts' evil glare off too!!! Pia's in top 6! Yey! Overflow. Congratulations! Happy for you as a mompreneur and happier that you have such a beautiful support system. => Lookin' forward to tasting' your goodies soon. Hi Denise! I'm not sure if our previous comment was submitted. Love it! And congrats on the success! Wow! Congratulations! You are an inspiration.